As spring approaches we tend to look for more outdoor activities. We have so many wonderful things to experience all around the state of South Carolina. Our state offers so many things to do from live music to tours and festivals. Through April 10 – “The Addams Family” at the Center Stage Theatre in Greenville. Enjoy this macabre musical comedy of one of America’s favorite families! For more information call (864) 233-6733 or visit http://centrestage.org/the-addams-family/. April 1 – Greater Vision Benefit Concert at Concord Baptist Church in Anderson. Proceeds from the concert benefit the Haven of Rest Ministries, Inc. For more information visit http://havenofrest.cc/greater-vision/. April 2 – Million March Against Child Abuse at 301 University Ridge in Greenville. This walk is to promote awareness of Child Abuse. For more information visit https://www.facebook.com/events/1670847833131905/. April 2 – iMAGINE Upstate Festival on the West End of downtown Greenville. This event will allow attendees to experience the future with interactive learning experiences for all ages, with robots, hovercrafts, drones, and much more. For more information visit http://imagineupstate.org/. April 6 – “Portland Guitar Duo” at the Spartanburg County Library in Spartanburg. Event will include Renaissance, Baroque, Classical, Romantic, & 20th Century periods. For more information call (864) 948-9020 or visit http://www.spartanburgphilharmonic.org/music-sandwich. April 7 – 9 – Spring Skunk Music Festival at 4063 Jordan Road in Greer. There will be tons of live music, a beer garden, food trucks, kiddie land, and craft vendors. For more information call (864) 233-8430 or visit http://www.albinoskunk.com/. April 8 – 17 – “Rumors” at the Oconee Community Theatre in Seneca. Enjoy an evening of laughter when the New York deputy mayor shoots himself, although it’s only a flesh wound, and the rumors begin to exaggerate the event. For more information call (864) 882-1910 or visit http://www.oconeetheatre.org/. 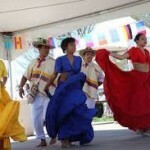 April 9 – Greer Goes Global International Festival at the Greer City Park in Greer. This event will provide you with a sampling of many different cultures from around the world to include everything from native performances and food to hands on craft activities. For more information visit http://www.greergoesglobal.org/. April 9 – Colors 4 Hope at Trailblazer Park in Travelers Rest. Event is a 5K walk/run through a variety of colors to raise awareness that Mental Illness impacts 1 in 4 individuals. For more information call (864) 467-3344 or visit http://www.mhagc.org/colors-4-hope-event-details.php. April 9 – Bells & Whistles 29835 in downtown McCormick. Event will include the Emerald Farm Express Train, demonstrating artisans, USA crafts, live entertainment, a cruise-in car show, and great food! For more information call (864) 378-7032 or visit http://www.bellsandwhistles29835.com/. April 9 – South Carolina Chili Cook-off Championship in downtown Belton. Be a competitor or just come out and sample some of the chili and choose your favorite. For more information visit http://scchilicookoff.com/. April 9 – Cinderella Project at the Anderson County Library in Anderson. For students in need of a dress for her special dance, she can get the dress, shoes, and all of the accessories. For more information visit http://www.scbar.org/SCBar-Groups/Young-Lawyers/News/Cinderella-Project. April 9 – Cinderella Project at Emerald Baptist Church in Greenwood. For students in need of a dress for her special dance, she can get the dress, shoes, and all of the accessories. For more information visit http://www.scbar.org/SCBar-Groups/Young-Lawyers/News/Cinderella-Project. April 14 – 16 – “Into The Woods” at the North Greenville University Theater in Tigerville. This Tony Award winning musical production will surely delight and entertain you. For more information call (864) 977-7085 or visit http://www.ngu.edu/theatre.php. April 14 – 17 – Stone Soup Storytelling Festival at a variety of locations in the Woodruff/Spartanburg area with most being held at 132 Main Street n Woodruff. This annual event will provide you with a handful of fabulous storytellers for both young and old, as well as opportunities to learn how to tell your own stories. For more information visit http://stonesoupsc.com/. April 15 – Laurens County Museum Gala at the Laurens County Museum in Laurens. Event will include a live band, dancing, heavy hors d’oeuvres, and refreshments. For more information call (864) 923-0083 or visit https://www.facebook.com/laurenscountymuseum. April 15 – 16 – Azalea Festival in downtown Pickens. Event will include a 5K walk/run, live entertainment, a cruise-in, and much more. For more information call (864) 507-0180 or visit http://pickensazaleafestival.com/. April 15 – 16 – Hub City Hog Fest in downtown Spartanburg. This BBQ competition other food vendors and beverage providers, and live entertainment all to benefit Mobile Meals. For more information call (864) 494-9133 or visit http://www.hubcityhogfest.com/. April 16 – Ghost Creek Gourd Festival at the Ghost Creek Gourd Farm in Laurens. There will be gourds for sale and a variety of workshops to participate in. For more information call (864) 682-5251 or visit http://www.scgourdsociety.com/. April 16 – Race the Helix at Lake Conestee Nature Park in Greenville. This event is a 5K run or a 1 mile walk/run to raise awareness of genetic disorders with proceeds to fun research. For more information visit http://www.ggc.org/component/content/article/2-uncategorised/675-race-the-helix-upstate.html. April 16 – 5K Mud Run and Spring Festival at the Palmetto Equestrian Therapeutic Riding Program in Clinton. In addition to the run will be horse rides, wagon rides, petting farm, games, face painting, and jump houses. For more information (864) 923-4998 or visit https://www.facebook.com/palmettoequestriantherapeuticriding/. April 16 – Rose Hill Mansion by Moonlight at the Rose Hill Plantation Historic Site in Union. Enjoy an evening at the Plantation as it would’ve been in the 1800’s after dark. For more information call (864) 427-5966 or visit http://www.southcarolinaparks.com/products/10003983. April 19 – Tamassee DAR School Benefit Golf Tournament at Cliffs Valley Country Club in Greenville. This Captains Choice tournament will be followed by an auction, awards, and luncheon. For more information visit https://www.facebook.com/events/1721748048107611/. Through – May 8 – Vernon Grant’s Leap into Spring at the Museum of York County in Rock Hill. The exhibit features an array of original and published artworks with Springtime themes created by Grant from 1930 through the 1970’s. For more information call (803) 329-2121 or visit http://chmuseums.org/myco/. April 1 – “Broadway: The Big Band Years” at the Newberry Opera House in Newberry. Find yourself taken back in time with music from all of your favorite old Broadway shows. For more information call (803) 276-5179 or visit https://newberryoperahouse.3dcartstores.com/. April 2 – Civil War Trust Work Day at River’s Bridge State Park in Ehrhardt. Spend a few hours helping Park personnel clean up the area in order to preserve this important historical park. For more information call (803) 267-3675 or visit http://www.southcarolinaparks.com/riversbridge/riversbridge-programs.aspx. April 2 – Pacers and Polo at the Powderhouse Polo Field in Aiken. This event is the third leg of the Aiken Triple Crown. For more information call (803) 641-3406 or visit http://web.usca.edu/pacersandpolo/. April 2 – “The Oak Ridge Boys” at the Newberry Opera House in Newberry. Enjoy an evening of entertainment with this legendary country band who was recently inducted into the Grand Ole Opry family. For more information call (803) 276-5179 or visit https://newberryoperahouse.3dcartstores.com/. April 3 – “Blood, Sweat & Tears” at the Newberry Opera House in Newberry. Find yourself thoroughly entertained with an evening of rock/jazz at it’s finest by this legendary band that won an Academy Award for their album of the same name with songs like “You made Me So Very Happy” and “Spinning Wheel. For more information call (803) 276-5179 or visit http://www.newberryoperahouse.com/. April 5 – “Men Are From Mars, Women Are From Venus” at the Newberry Opera House in Newberry. Find yourself laughing until it hurts with this one man show about this famous book and his take on what the book means in relationships. For more information call (803) 276-5179 or visit http://www.newberryoperahouse.com/. April 6 – Under the Stars Jumper Nights at Stable View Farm in Aiken. Come watch horse and rider as they compete at this school jumping event. For more information call (484) 356-3173 or visit http://www.stableviewfarm.com/. April 7 – “Pawel Checinsky” at the Newberry Opera House in Newberry. This Julliard trained pianist will fill you evening with music from “Chopin”, “Liszt”, “Granados” and “Debussy”. 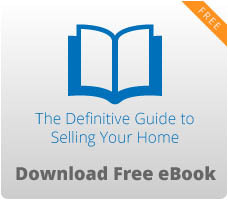 For more information call (803) 276-5179 or visit https://newberryoperahouse.3dcartstores.com/. April 7 – 9 – AMPS International Convention and Scale Model Exhibition at the Sumter County Civic Center in Sumter. Event will include a juried contest, seminars, displays, and vendors with many of the finest amour and figure modelers in the Country. For more information call (803) 318-1767 or visit http://ampscentralsouthcarolina.org/2016_AMPS_Show.html. April 10 – Old McCaskill’s Farm Shearing Day at Old McCaskill’s Farm in Rembert. Come learn about sheep shearing and what happens to the wool once it is harvested, along with border collie demonstrations, a working blacksmith, a working saw and grits mill, and plenty of farm-fresh concessions. For more information call (803) 432-9537 or visit http://www.oldmccaskillfarm.com/. April 12 – “El Deafo Visits Aiken” at the Aiken County Library in Aiken. Going to school and making new friends requires superpowers, especially for those with hearing loss, and Cece Bell, award winning graphic novelist, brings her memoir, El Deafo, to Aiken. For more information call (803) 642-7575. April 12 – Charlotte Symphony Orchestra at the Clover School District Auditorium in Clover. Enjoy an evening of music intended to “educate, entertain, and enrich the human spirit.” For more information call (803) 810-8000 or visit http://www.clover.k12.sc.us/Page/11912. April 13 – Dressage Under the Stars at Stable View Farm in Aiken. Come watch horse and rider compete at a school dressage show. For more information call (484) 356-3173 or visit http://www.stableviewfarm.com/. April 14 – “Close to You: The Music of the Carpenters” at the Newberry Opera House in Newberry. Considered one of the best vocalists of all time, Karen Carpenter, and her musically inclined brother created some of the most beautiful songs ever created, that will be presented in this guaranteed fabulous show. For more information call (803) 276-5179 or visit https://newberryoperahouse.3dcartstores.com/. April 14 – 15 – “Jim Witter” at the AECOM Center for the Performing Arts in Aiken. This musical journey through the 60’s and 70’s will be filled with songs from artists such as Jim Croce, James Taylor, Cat Stephens, Arlo Guthrie, Harry Chapin, and more. For more information call (803) 643-4774 or visit http://www.tbredcountry.org/common/content.asp?CONTENT=10267&PAGE=311. April 14 – 23 – Come See Me Festival at a variety of locations in Rock Hill. This event includes a parade, a musical mania day where kids can try a variety of instruments, calking art on Main Street, a frog jump, and so much more. For more information visit http://comeseeme.org/. April 16 – Sporting Clays Tournament at the Hermitage Farms Shooting Sports in Camden. Participants will rotate through 14 challenging clay stations with two flight options. For more information call (803) 254-0118 or visit https://www.eventbrite.com/e/sporting-clays-tournament-2016-tickets-20423959613. April 16 – St. Thaddeus Home and Garden Tours starting at St. Thaddeus Episcopal Church in Aiken. Tour seven of the most beautiful homes and gardens in the Aiken area. For more information call (803) 648-0417 or visit http://www.stthaddeus.org/outreach/373/home-and-garden-tour. April 16 – Taste of Blackville in downtown Blackville. Enjoy some of the best foods in the area while enjoying live entertainment, activities for the kids, and a variety of vendors. For more information call (803) 284-2258 or visit http://www.townofblackville.com/default.htm. April 16 – Pork in the Park in downtown Newberry. BBQ teams from around the Southeast will compete with tickets available for sampling the BBQ, live entertainment, and kids activities being provided. For more information call (803) 321-1015 or visit http://www.cityofnewberry.com/area-attractions/annual-events/pork-in-the-park. April 16 – Haynes Bluegrass Festival at the Haynes Auditorium in Leesville. Event will include the Pinehill Ramblers, Palmetto Blue, Rabon Creek, & The Trinity River Band. For more information call (803) 582-8479 or visit http://www.haynesbluegrass.com/. 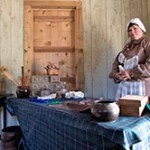 April 16 – 17 – Colonial Times: Under the Crown & Trades Fair at the Living History Park in North Augusta. Go back in time to 1780 and the colonial rebellion is on, with Charleston under siege and Savannah having already been taken . . . you will get to see a portrayal of the rebellion in action. The Trades Fair is what was formerly known as the Artisans Fair. For more information call (803) 279-7560 or visit http://www.colonialtimes.us/events.html. April 18 – “Jo Dee Messina” at the Newberry Opera House in Newberry. Enjoy an evening with this wonderful country musician with 16 Top 40 singles. For more information call (803) 276-5179 or visit https://newberryoperahouse.3dcartstores.com/. April 19 – Live from Nashville at the Newberry Opera House in Newberry. Twelve musicians, singers, and dancers in this extraordinary theatrical production. For more information call (803) 276-5179 or visit https://newberryoperahouse.3dcartstores.com/. Through April 2 – Lowcountry Quilt Show at the Georgetown County Museum in Georgetown. View a variety of beautifully crafted quilts and register to win one of three quilts to be raffled, along with door prizes, demonstrations, and quilts for sale. For more information call (843) 545-7020 or visit http://www.georgetowncountymuseum.com/. Through April 24 – Festival of Houses and Gardens in the historic district in Charleston. This event will allow you to tour some of the most beautiful houses and gardens in historic Charleston. For more information call (843) 722-3405 or visit https://www.historiccharleston.org/events/annual-festival-of-houses-and-gardens.aspx. April 2 – Run for the Shelter at the North Myrtle Beach Sports Complex in North Myrtle Beach. Event will include a 5K, a 1 mile dog walk, and a dog bone hunt. For more information visit https://runsignup.com/Race/SC/NorthMyrtleBeach/TheHumaneSocietyofNMBRunfortheShelter5k. 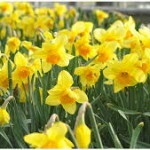 April 2 – Daffodil Festival at the Moore Farms Botanical Gardens in Alligator Lake near Lake City. Enjoy the beautiful spring atmosphere at this beautiful garden with the event including life entertainment, hors d’oeuvres, wine and other beverages, all to benefit local charities. For more information call (843) 374-8611. April 6 – Wine Down Wednesday at Old Towne Creek County Park in Charleston. Enjoy springtime in this beautiful park while sipping wine, snacking on hors d’oeuvres, and savoring the entertainment. For more information call (843) 795-4386 or visit http://ccprc.com/1724/Wine-Down-Wednesday. April 7 – Shag + On to Pres + On at The Pavilion at Patriots Point in Mount Pleasant. Come shag the night away to live music and if you don’t know how to shag, come on out for a lesson with an instructor who can show you how to shag like a pro. For more information visit http://thepresonfoundation.org/shagon/. April 8 – Kiawah Island Art & House Tour at multiple locations on Kiawah Island. Visit 5 Kiawah Island homes with a variety of arts and architecture. For more information call (301) 404-6605 or visit http://kica.us/community/event-calendar/kiawah-island-art-and-house-tour-2/. April 8 – 10 – World Grits Festival in downtown St. George. World famous for their rolling in the grits contest, will also include a parade, a 5K race, food vendors, craft vendors, and so much more. For more information call (843) 563-9946 or visit http://worldgritsfestival.com/index.html. April 9 – Taste of Bluffton at Bluffton Village in Bluffton. Enjoy foods from the best restaurants in the area with a Chefs Chop Challenges, Peoples Choice, a Waiters Race, a Battle of the Bands, and Fire Fighter Chili Cook-off. For more information visit http://www.tasteofbluffton.com/. April 9 – Arts International at Francis Marion University Performing Arts Center in Florence. Event will include performing artists on three stages, visual artists on the streets, food from around the world, cooking demonstrations, a kid’s area, and a welding sculpture competition. For more information call (843) 661-1225 or visit http://www.fmarion.edu/news/artsinternational. April 9 – 10 – Winyah Bay Heritage Festival at the Carroll Ashmore Campbell Marine Complex in Georgetown. Event will include a bird of prey demonstration, a duck calling contest, dock dogs competition, art and conservation exhibits, and more. For more information call (843) 833-2674 or visit http://www.winyahbayfestival.org/. April 9 – 16 – Volunteer Archaeological Excavation at Hampton Plantation in McClellanville. If you’ve always wanted to experience the life of an archaeologist, take a day, two, or even a week of searching a site near an old slave cabin in order to find artifacts that can tell more about the life of the enslaved on the Plantation. For more information call (843) 546-9361 or visit http://www.southcarolinaparks.com/products/10004015. April 11 – Monday After the Masters at the Dye Club at Barefoot Resort in North Myrtle Beach. This annual event put on by Hootie and the Blowfish has had their commitment since 1994 to raise proceeds to benefit children’s education programs and South Carolina junior golf. For more information visit http://www.hootiegolf.com/. April 12 – Brewsday at Olde Town Creek County Park in Charleston. Enjoy live entertainment, tasty food, cold craft beer, and yoga! For more information call (843) 795-4386 or visit http://ccprc.com/1803/Brewsday. April 14 – Opening the Closed Society by Dr. Susan Glisson at the Avery Research Center in Charleston. Dr. Glisson is with the William Winter Institute of the University of Mississippi who has worked toward education and the elimination of racism in this State known as the bastion of American racism. For more information call (843) 953-7609 or visit http://calendar.cofc.edu/EventList.aspx?view=EventDetails&eventidn=8023&information_id=21095&type=&rss=rss. April 14 – i5K Walk/Run/Shuffle at the Riverfront Park on the Cooper River in North Charleston. There will be a post-race celebration at the park after the race. For more information visit http://www.ifivek.com/. April 14 – 16 – Puddin’ Swamp Festival in downtown Turbeville. The event will include a photography contest, a Taste of Puddin’ Swamp, a 5K, a DJ, amusement rides, craft vendors, and even fireworks. For more information call (843) 659-3030 or visit http://www.puddinswamp.com/. April 14 – 17 – Charleston Race Week at Patriot’s Point in Mount Pleasant. This event is known as the County’s #1 Keel Boat Regatta, with over 18 different classes and nearly 300 boats involved. For more information call (843) 628-5900 or visit http://www.charlestonraceweek.com/. April 15 – 17 – Charleston Outdoor Festival at James Island County Park on James Island. This event will include activities from kayaking, paddle boarding, canoeing, rock climbing, slacklining, mountain biking, archery, disc golf, and more for everyone, whether you are new to outdoor activities, or have been at it for years. For more information call (843) 795-4386 or visit http://ccprc.com/1542/Charleston-Outdoor-Fest. April 15 – 24 – Horry County Fair at the Myrtle Beach Speedway in Myrtle Beach. Enjoy all of your favorite fair foods and activities, with live shows by Trace Adkins, Montgomery Gentry, Huey Lewis & The News, Three Doors Down, and more. For more information visit http://www.myrtlebeachspeedway.com/hcfair/. April 16 – Soft Shell Crab Festival on Parris Avenue in Port Royal. Enjoy Low Country cuisine made by some of the area’s best chefs, with live music, an artisan craft market, kids fun zone, and classic cars on display. There will also be a crab race. For more information call (843) 592-1892 or visit http://www.oldvillageportroyal.com/. April 16 – Green and Lean 5K Run/Walk at Brittlebank Park in Charleston. Dogs and strollers are welcome, and there will be a Tot Trot for 2-5 year olds (50 yard dash) and a ¼ mile run for kids 6-10 years old. For more information visit http://www.greenandlean5k.com/details/. April 16 – Walk for Autism at Historic Hampton Park in Charleston. This event is to promote awareness of Autism in the community. For more information visit http://www.walkforautismcharleston.org/. April 17 – The Bridal Event at Florence Fashion Week at Victors at Hotel Florence in Florence. Enjoy the finale runway show that will include black tie, bridal gowns, and special occasion attire. For more information visit http://www.florencefashionweek.com/.